Have you ever wondered where terms like `end of your tether', `gets my goat' or `letting ones hair down' come from? Or why we call some people `geezers', `sugar daddies' or `lounge lizards'? Or where the words `eavesdropping', `nickname' and `D-Day' come from? 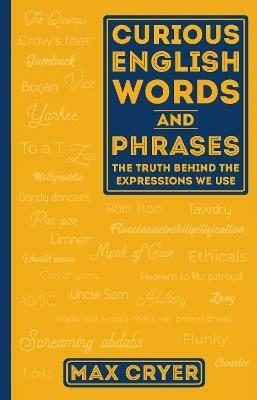 They are just a few of the many words and phrases that language expert Max Cryer examines in this fact-filled and fun new book. Max explains where these curious expressions come from, what they mean and how they are used. Along the way he tells a host of colourful anecdotes and dispels quite a few myths - Did Churchill originate the phrase `black dog'? And if `ivory tower' can be found in the Bible, why has its meaning changed so drastically? Curious English Words and Phrases is a treasure trove for lovers of language. 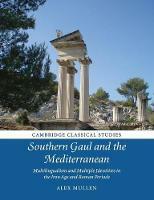 Informative, amusing and value for money, this book is `the real McCoy'. From `couch potato' to `Bob's your uncle', you'll find the explanation here! Max Cryer is a well-known writer, broadcaster and entertainer. In a long career, he has been a school teacher, a compere and television host, as well as a performer on the opera stage in London and in cabaret in Las Vegas and Hollywood. Now a full-time writer living in Auckland, he has written many books, including Every Dog Has Its Day, Who Said That First?, Love Me Tender, The Godzone Dictionary, Preposterous Proverbs and Curious English Words and Phrases.